I'm time-pressed and always counting the pennies as a single-mum writer, so going out has to be worth the lipstick. It's the year of discovering tantalizing Melbourne and, sometimes, a tease of Adelaide's treasures. Join me. If you believe that Friday and Saturday nights are made for adventure, perhaps touched by theatre or even belong exclusively underground, well, Aloha Sailor! 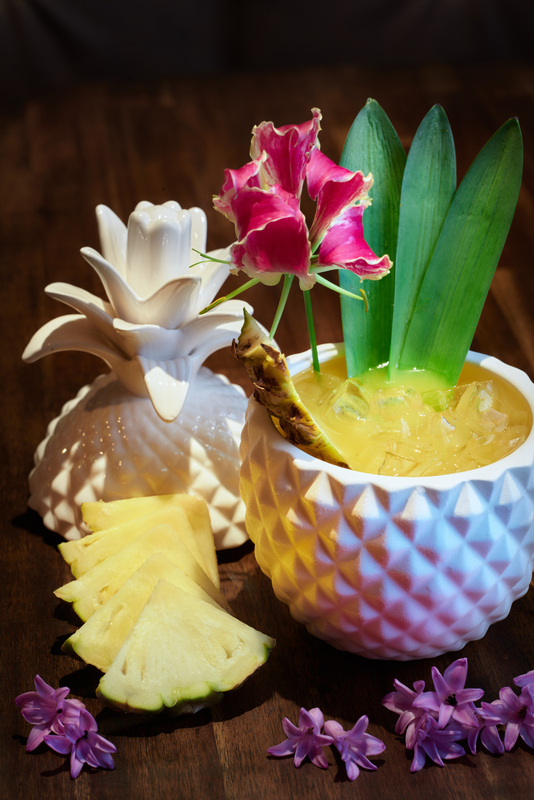 The basement pop-up tiki bar is laden with treasures to enrich your winter weekends. 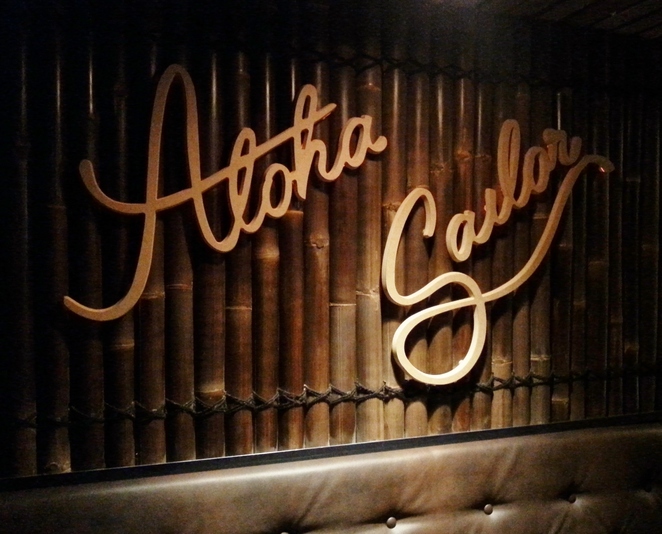 The inspiration of husband and wife duo, Kristin and Daniel Lemura, with career cocktail creator, Linus Schaxmann, the Aloha Sailor Tiki Bar is underground at the collaborators' Smith Street restaurant, The Noble Experiment, and will operate in this guise through the next six months. Paying homage to tiki bar creator, Don the Beachcomber, who developed original rum punches and served Cantonese food at his Hollywood bar in the post-prohibition 1930's, this Melbourne grown concept takes golden Jamaica rum from sponsor, Appleton Estate, and mixes the chest warming blends with syrups and fruit juices for effects that mimic witchcraft. Not usually a rum drinker myself, I have to report that a neat tipple of the spirit, barrel blended for rum runner cocktail, was a great surprise – sumptuously fruitful, syrupy and more-ish. Cocktails for two or more feature on the rum-laced menu. Loco Pina cocktail image by Amanda Koh. Professional rum tasters report toasted oak, vanilla, orange peel and light spice as the flavours to hunt for within the unassuming nip. A yo-ho-ho could have rolled off my tongue and the merit in centering a cocktail menu around a collection of barrel-aged rums became clear. House made syrups, juices, infusions and sodas will concoct the alchemy to both startle and sooth your senses, while cocktail presentations are anchored in drama and beauty. 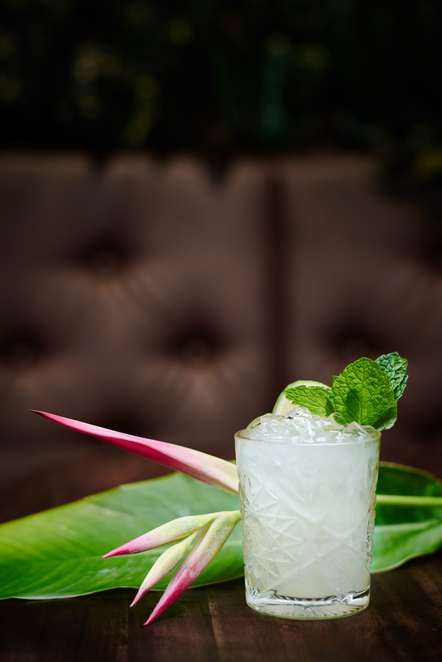 A classic Mai Tai recipe ($19) promises to refresh away your week, or try another quintessential tradition, the Zombie ($20), with a blend of seven rums. 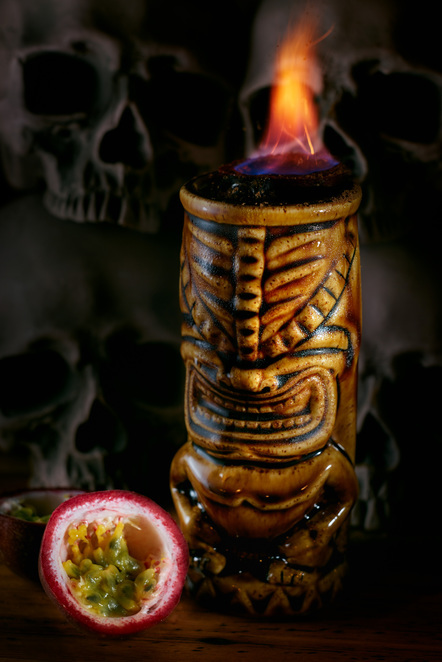 Served in a flaming tiki mug, Rum Runner ($19) is truly exotic, but there is a whole lot of fun in sharing a Loco Pina for two ($22), so go crazy. 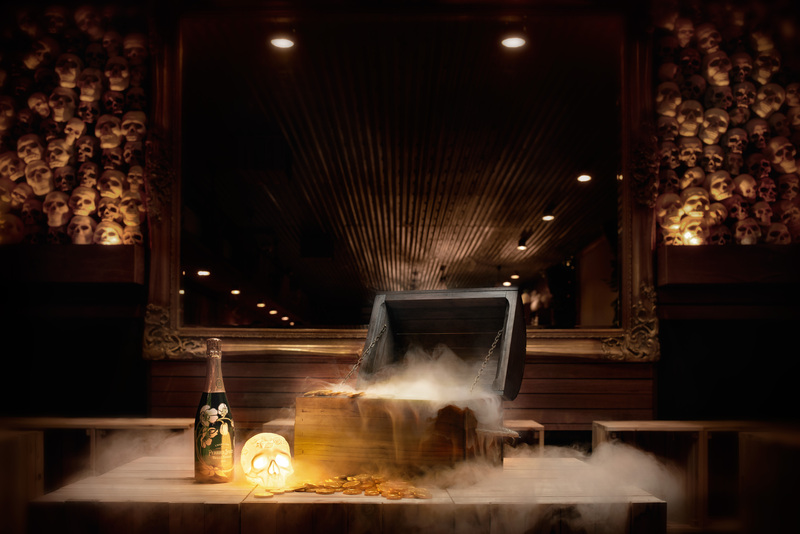 Tiptoe to the end of the plank with the Royal Treasure Chest ($350), blending eighteen different rums, some of them overproof, with unique syrups, citrus, fruits, flowers and heralding French champagne. It's expected you'll share. There's a softer deck to sit at too, with mocktails, including handmade ginger beer, or glasses of bubbly and bottled beer brews that sit outside the mainstream. The menu is designed to pick and to share and steeps itself in Asian-Pacific influence and South Pacific themes. 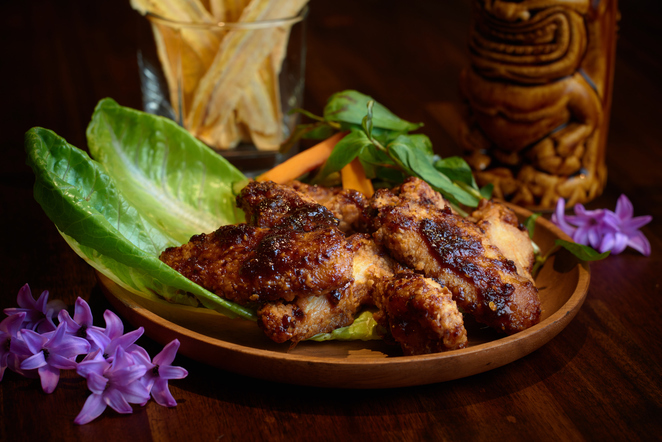 Chilli chicken wings with house pickles ($9) is one from the menu designed to keep fingers sticky, issuing a subtle encouragement to engage in conversation with faces, not phones. Try going troppo for crispy roast suckling pig for two or more people ($28 p.p) with steamed bread, or try a Polynesian take on Peking duck, steamed and roasted whole with crackling, pancakes and accompaniments. Prawns, fries, snack bowls, and spiced pork ribs are all there with a hula-hula twist. It looks like a long and comfortable night time journey. 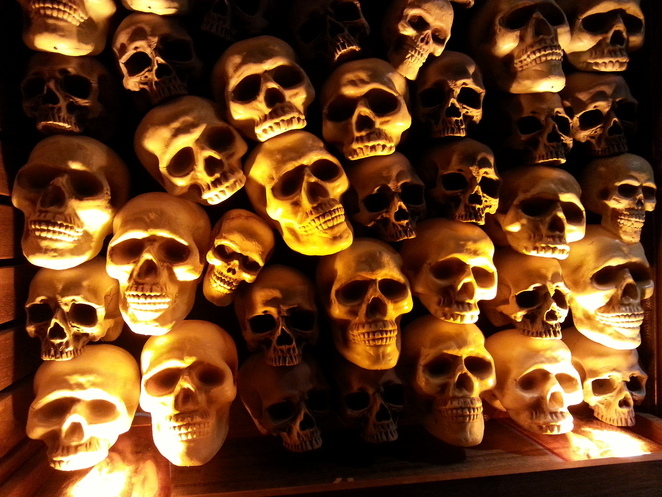 Come aboard this basement ship for South Pacific style that's more Voo Doo than golden sands. 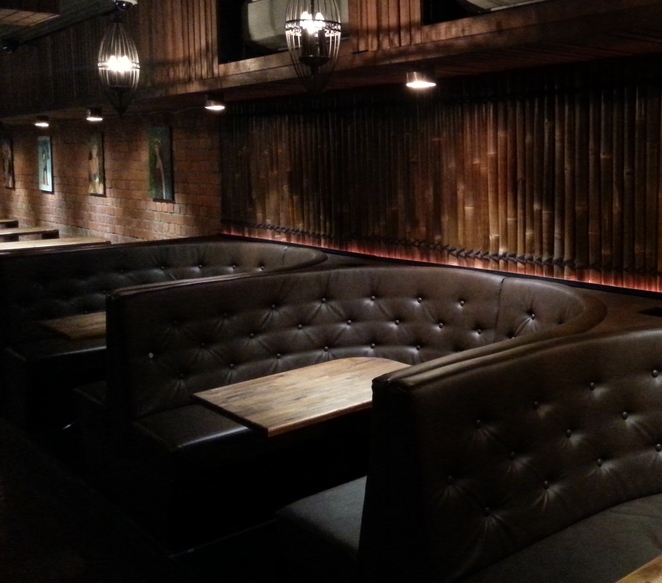 Circular booths feel conspiratorial and a simple Japanese timber lounge area flanked by skull friezes, or high bar tables overseen by Polynesian portraits, are all great places to perch. Cast away the week, enjoy a new way to get a skull-full and begin a limited love affair with the exotic, designed by three captains of their craft. Why? The mysteries of the tiki begin with rum.